In Dec 2018 SHAC hosted Yardstock in Cower Mews. YARDSTOCK is local bands in backyards, folks having good times walking from house to house. 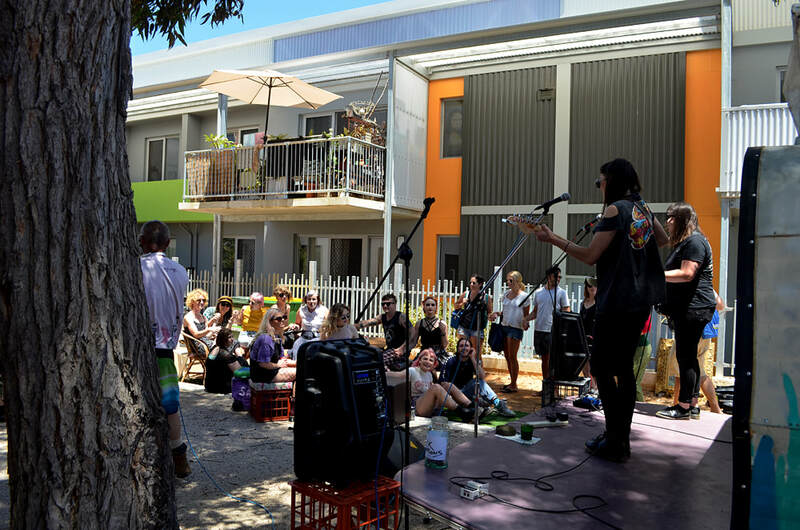 It’s organised every so often as an alternative to the boganville-beer-barn-monoculture in Perth and most importantly to support local music and have a good time. We believe in creating free and equal spaces for us to all work, play and exist in.